St Mary’s Baldock is a 13th century building of significant architectural and historical importance. The building contributes enormously in helping us worship. The stones are full of the prayers of the saints of Baldock and layout of the building allows us to focus on whatever aspect of Christianity we are emphasising. 9.30am Our main act of worship for the week. Usually this is Parish Communion.Majestic organ, robed choir, insightful preaching and relaxed inclusive liturgical worship with a smile might describe our style.Sometimes we have a music group or the Praise be Band.Often we have imaginative ideas to surprise us with the presence of God. We cater for children either with Junior and Teenage Church or in All Age services. There is a corner for pre-school children who need a bit of time out with colouring, books and quiet toys. 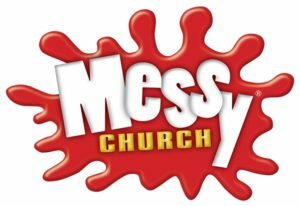 12pm usually on the first Sunday of the month Messy Church (see news sheet Tfor precise dates) Messy church is aimed at young families. Start with a delicious lunch in church followed by craft and activities on a theme and a short act of worship joining it all together. Messy church finishes at 2pm. 6pm usually on the second Sunday of the month (See news sheet Tfor precise dates) Choral Evensong. 9.30am A communion service in church followed by coffee in the church hall. This is a really friendly welcoming event. Nearly every day we hold Morning and Evening Prayer. 20 minutes of peace at around 8.40am and .4.30pm (See news sheet for precise dates and times as these change). A good opportunity if you want someone to pray with. We have various groups and activities both in worship and at other times during the week. Contact us for more details. St Margaret of Antioch Bygrave is a tiny church which seats only about 60 (although we manage to cram in double that for our Carol service!) It is really ancient, containing some probable Saxon parts, and remnants of wall paintings but manages to convey a sense of continuity of worship through the ages with its 21st Century Millennium window in vibrant yellow, blues, reds and greens. Truly ancient and modern rubbing shoulders together. Worship in the tiny church of St Margaret of Antioch, Bygrave has a villagy feel. It is a beautiful ancient building with a stunning 21st Century window behind the altar next to some mediaeval wall painting. It really is worship with ancient and modern!